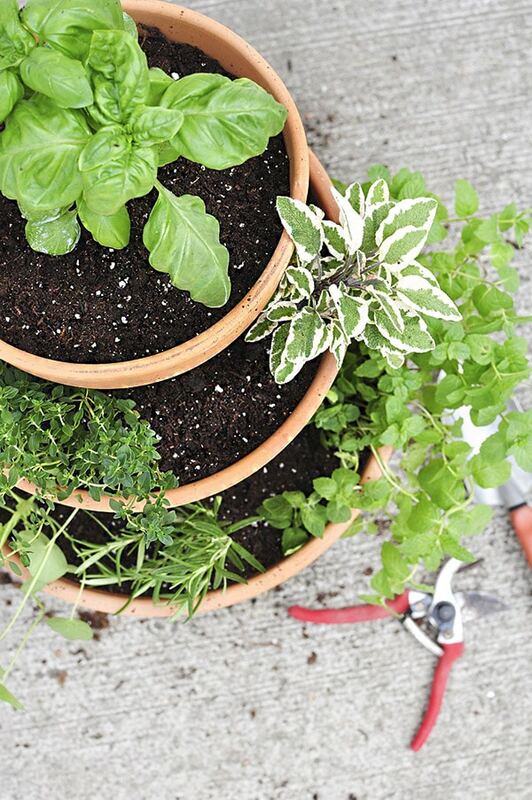 INSIDE : Learn how to create a Rental friendly Stacked Herb Garden. 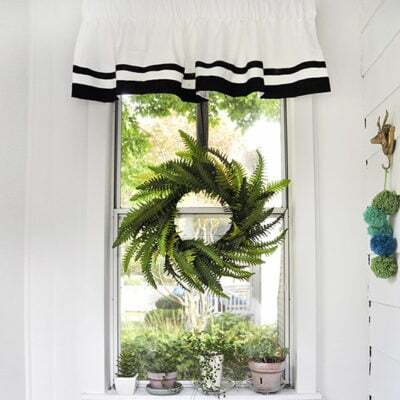 It’s perfect for a small patio, an apartment balcony or having fresh herbs nearby your back door. If you know me at all, you know I love plants… LOVE plants. So to say, I am excited to share today’s post would be an understatement. Most of you know, we moved across the country roughly nine months ago and into the cutest little rental house. When living in a rental, sometimes you do not have the freedom to till up your yard and transform it into a lovely raised vegetable garden. 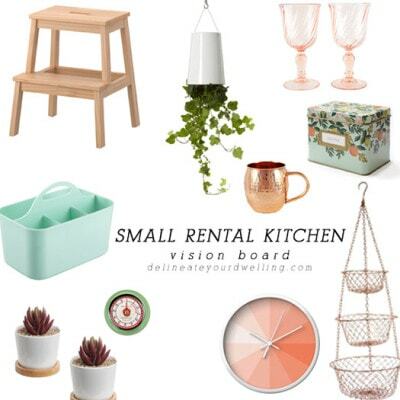 Also many times, if you are renting an apartment there may not even be a backyard or much outdoor space. 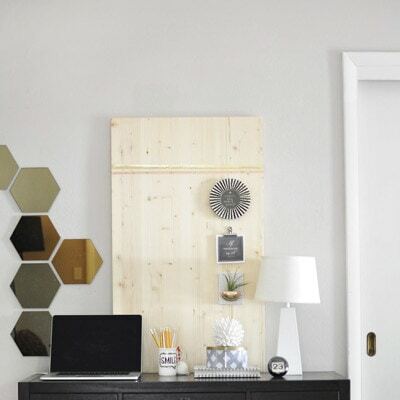 So, today I am sharing how I partnered with my local plant nursery, Prairie Gardens and created this simple Rental : Stacked Herb Garden! I’m giving you fair warning now. This post is picture heavy because 1. I love plants and 2. I would move into this plant nursery if they let me – it’s so good. I teamed up with Prairie Gardens, my local IL plant shop and it was a match made in green heaven. 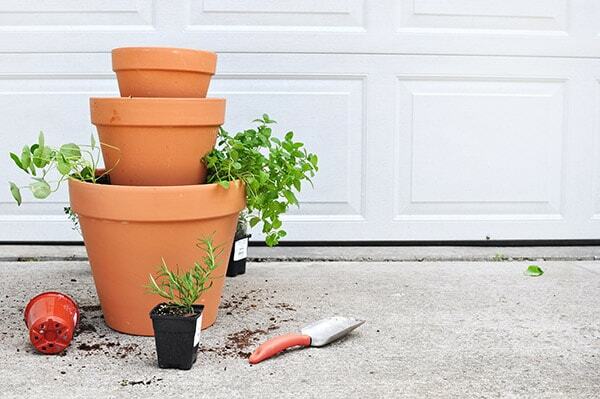 The first step to creating a stacked herb garden is selecting the appropriate sized pots. I played around with various sized pots to find just the perfect ones. 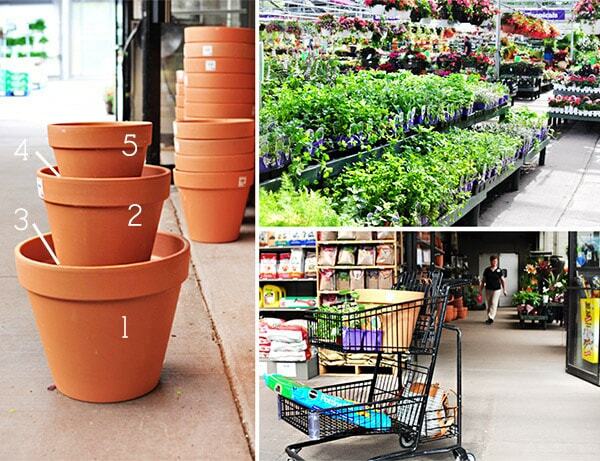 The exact sizes depend on how large you want and what your local nursery has available. 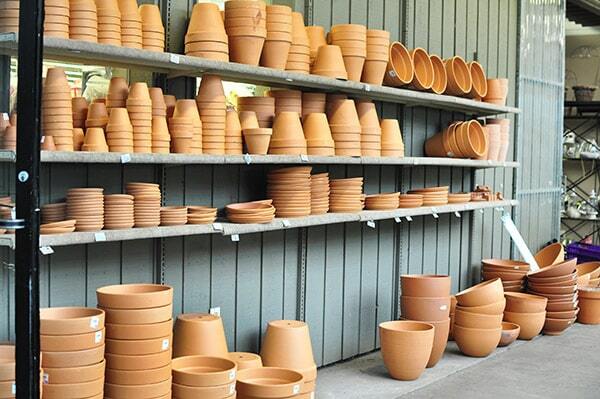 As you can see, Prairie Gardens has quite a nice terra cotta selection. 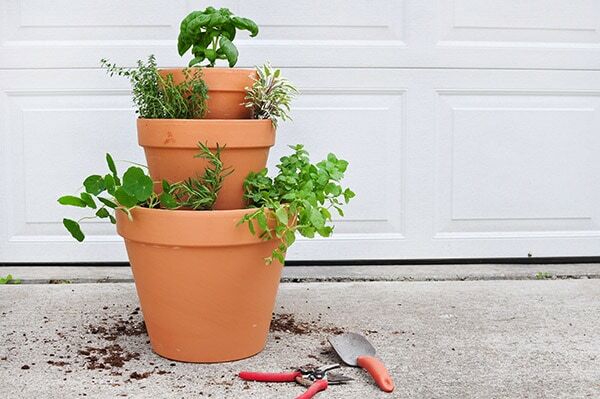 The biggest pot will be the base of your stacked garden, pot 1 (see diagram below). Then, pot 2 will be the next smallest pot. Pots 3 and 4 are the next smallest in size. These will be turned upside down, inside of pot 1 and upside down, inside of pot 2. They allow for the appropriate height in the stacked garden. Pot 5 is your smallest pot and it will be located at the very top. I bought six different herbs, but the selection was so bountiful it was hard to narrow it down to only six plants! I bought basil, lemon thyme, spearmint, variated sage, nasturium and rosemary. Next is the fun part, putting it all together. I started stacking the pots per my layout and adding in small amounts of the garden soil to hold the pots in place. 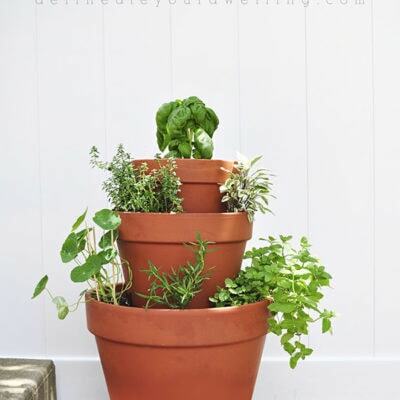 Then, starting at the bottom, pot 1, I started planting my herbs. 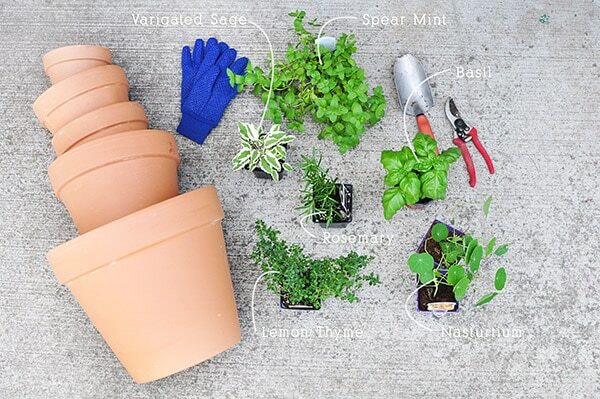 Take into consideration the size and style of each herb you plan to use. I tried to vary heights and trailing herbs to keep it looking interesting throughout. 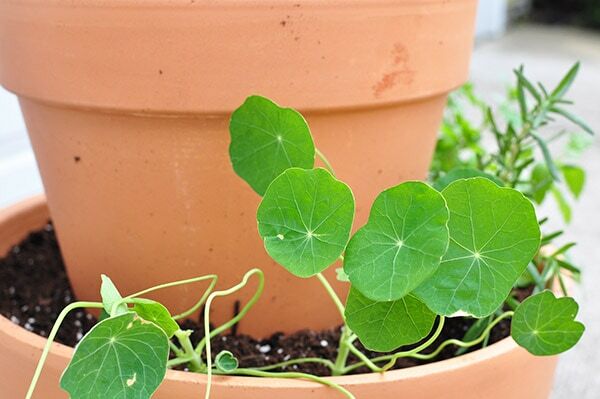 I think these nasturtium might be my favorite plant. The flowers (they’v not bloomed yet) and leaves are edible and I’m very excited to try them this year! I could not be more thrilled with the outcome. I found a perfect spot for my stacked herb garden. It gets just a little morning shade with plenty of afternoon sun. 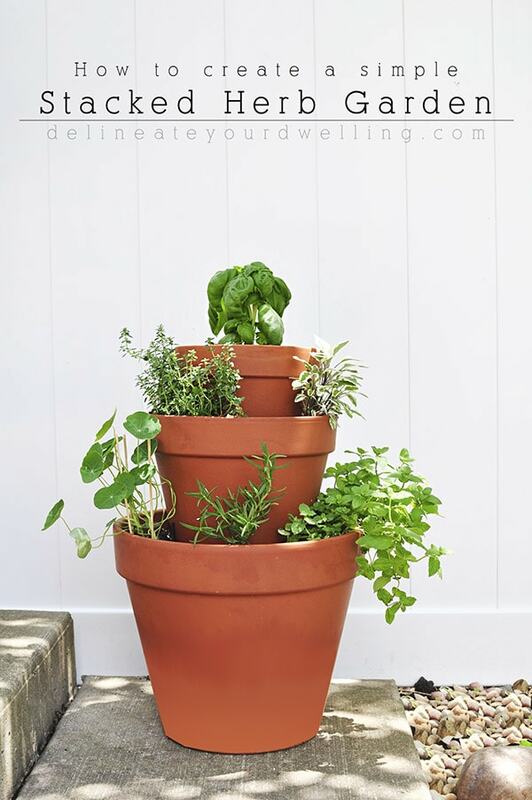 Another bonus of growing herbs in pots, is you can visually see when the pots have dried out, versus when they are still wet and various portions of the pots are different colored from the moisture of the water in the soil. I made a caprese salad over the weekend and loved being able to use basil from my new stacked herb garden! 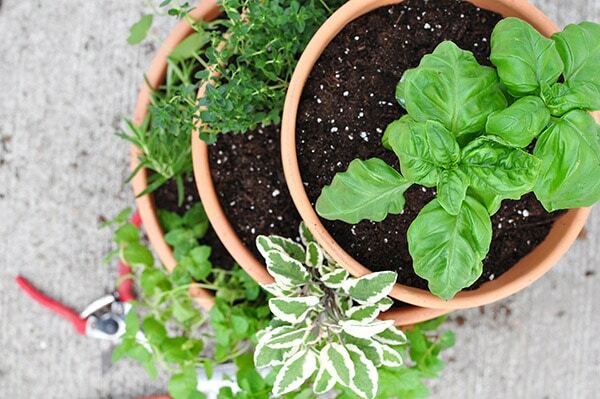 What is your favorite herb and have you tried this type of garden before? If you live in central IL, you should plan to make a stop into this plant nursery. Not only do they sell high quality indoor and outdoor plants, but they also have a wonderful retail shop inside with home decor, patio furniture and many other lovely items (they sell AIR PLANTS and FIDDLE FIGS!). Thank you to Prairie Gardens plant nursery for collaborating with me on this project. I was compensated with plant material but all opinions are 100% mine. Oh yes, the strawberry pots seem cool, too! I’ve never tried those kind, but so far my herbs are doing wonderful! I always wondered how these stacked terra-cotta planters were made. Now I know! 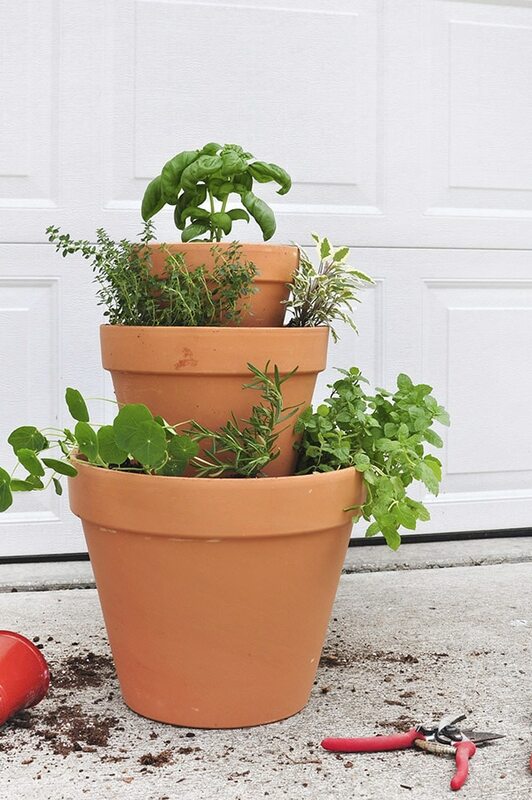 This would be a great way to add some herbs to my patio. It’s really worked out so well! I love having all the herbs right by our backdoor for easy access, too! 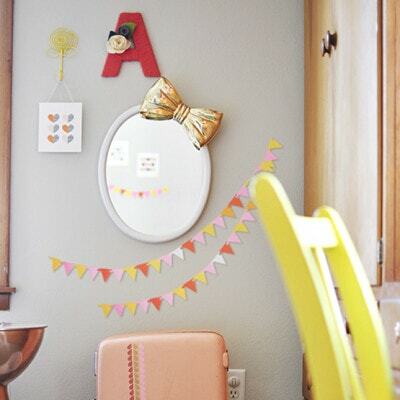 Amy – I love this! 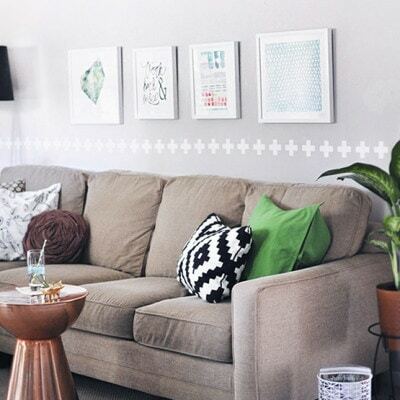 I am a renter in SF and this is perfect for me! Thank you, Sara! I’ve used almost all the herbs at least once so far… it’s just perfect. What? This is such a great idea Amy! And when those nasturtiums bloom it’s going to be even prettier! 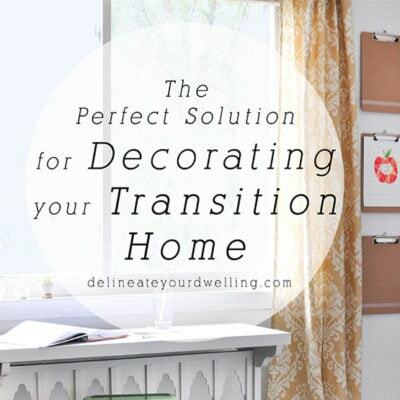 Thanks, it was such fun to create!